Our team at Facial Rejuvenation FL provides exceptional aesthetic services in Vero Beach, and Winter Park FL. Dr. Gerald Pierone, Jr. hosts and trains physicians from throughout the United States for advanced facial filler and PDO Thread trainings. Upon entering our facility, you will be shown to our softly decorated consultation room to discuss your concerns with our experienced licensed Medical Aesthetician, Jeanmarie Hajla. She will then introduce you to Dr. Gerald Pierone or the talented Greer Hanson, ARNP. Together, you will discuss the best procedures to achieve your desired results. Our team at Facial Rejuvenation FL is known for our ability to combine an artistic appreciation with a scientific approach to enhance every patient’s desired natural beauty. Every step of your transformational journey is overseen by our kind, compassionate staff. As we age, our faces naturally lose subcutaneous fat. The facial muscles begin to start working closer to the skin surface, so our smile lines and our crow’s feet become more apparent. 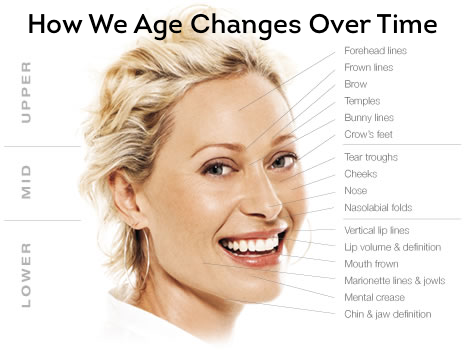 Other aging factors that affect the facial skin include sun exposure, heredity, and lifestyle. Facial (injectable) fillers may be used to correct a variety of cosmetic concerns, such as wrinkles, thin lips, acne scars, and dark or puffy under-eyes. Dermal fillers can be very helpful in those with early signs of aging, or as a value-added part of facial rejuvenation surgery. Types of Dermal Fillers: Cosmetic injectables, wrinkle fillers or dermal fillers are generally classified in two main categories: temporary injectable fillers and semi-permanent or permanent injectable fillers. BOTOX® and DYSPORT® are your solution for fine lines, wrinkles between your eyebrows, forehead lines and lines at the corners of your eyes (crow’s feet). BELLAFILL®, JUVEDERM VOLUMA XC®, JUVEDERM VOLLURE XC™, RESTYLANE LYFT®, RADIESSE® and SCULPTRA® are your solution to under eye volume issues, jowls, a sagging face, enhancing cheeks, nose, chin, and for acne scar treatment. The application of any dermal filler is as much an art as it is science. We have the skill and experience to make the results look natural and symmetric. Made with the same purified protein as BOTOX® Cosmetic, Dysport® is an exciting injectable alternative. Dysport® tends to spread further from the injection site than BOTOX®, making it better suited for treating larger areas. Skin Tightening can be performed to address a wide variety of skin concerns: sagging skin, reducing facial wrinkles, tightening the face, eyes and neck areas. We are here to help you address these concerns in a comfortable setting. A PDO thread lift is a type of face lift that is often referred to as the “lunch hour lift”. We make a tiny entry then insert fine PDO threads into the areas we want to lift. As the threads dissolve, your body will naturally produce new bundles of collagen which surround each thread. Using PDO threads along with facial fillers typically produce the best results. Aerolase® represents a new generation of medical aesthetic lasers, which are spectacularly versatile – they are designed not only for permanent hair reduction on any area of the body, including the face, underarms, bikini area, back and legs, but are also used for skin rejuvenation and tightening, acne, rosacea, pigmentation problems, vein removal and even scar revision. Ultherapy® uses ultrasound to treat the deep foundation below the skin. This initiates your body’s collagen rebuilding process to tighten and lift sagging skin. Clear + Brilliant® is a laser that refreshes your skin from the inside out. The laser energy creates millions of microscopic treatment zones in the upper layers of the skin, replacing damaged skin with healthy, younger looking skin. Microneedling is the latest skin therapy that treats wrinkles and fine lines, acne scars, stretch marks, surgical scars and burn scars. It is a treatment that uses tiny needles to the skin that “aerates” the skin, stimulating collagen. It works great in combination with other therapies, especially Bellafill®. Kybella™ is designed specifically to treat submental fat – the dreaded double chin. While traditionally this area has been treated surgically. The CoolSculpting® procedure is the only FDA-cleared, non-surgical fat reduction treatment that uses controlled cooling to eliminate stubborn fat that resists all efforts through diet and exercise. Exilis® is a new type of radiofrequency device that reduces facial wrinkles and unwanted pockets of body fat. It’s a great non-invasive alternative to surgical liposuction. Its results aren’t as dramatic as liposuction, but it’s a much safer and easier procedure for people who want to rejuvenate and re-contour their bodies. We provide various cosmeceutical skin care products that enhance our anti-aging laser treatments. An individualized home care regimen is recommended to accelerate the benefits of your treatments and improve your results.